28" inches to start. Can reach up to 6'. 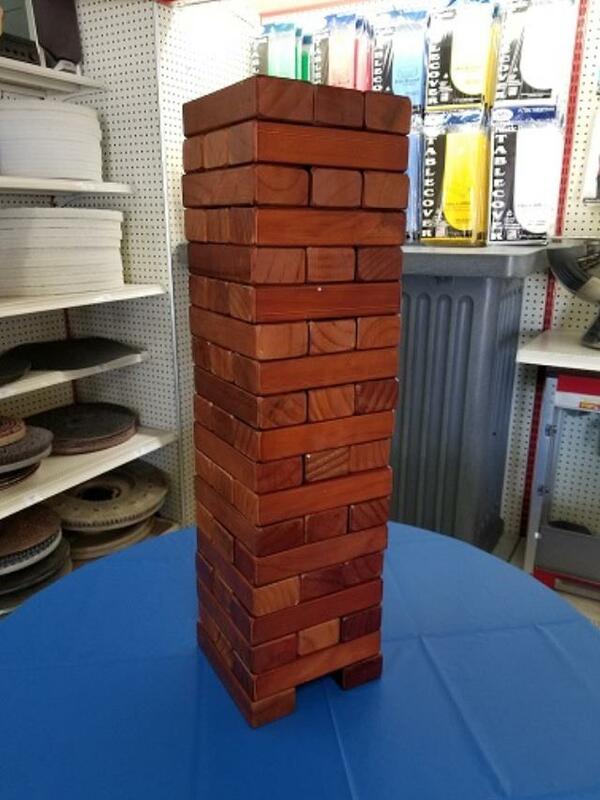 * Please call us with any questions about our jenga tabletop tumbling timbers in South Chicago Heights IL and Highland IN.